In response to the circulation of a draft FCC report on broadband deployment, or advanced telecommunications capability, and citing an apparent large-scale over-reporting of deployment by one Internet service provider (ISP), Free Press has urged the FCC to withhold release of the 2019 report until revisions are made. In a press release last month announcing the circulation of the draft report, commonly known as the section 706 report after the section of the Communications Act that first mandated it, the FCC said that it concludes that “[t]he digital divide between Americans with and without access to modern broadband networks has narrowed substantially” and that “advanced telecommunications services — broadband — is being deployed on a reasonable and timely basis” (TR Daily, Feb. 19). 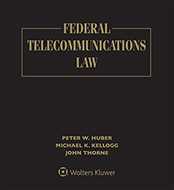 Section 706 of the Act directs the FCC to “take immediate action to accelerate deployment of such capability by removing barriers to infrastructure investment and by promoting competition in the telecommunications market” if it determines the advanced telecommunications capability is not being deployed to all Americans in a reasonable and timely fashion. Neither the office of FCC Chairman Ajit Pai nor those of his Republican colleagues, Commissioners Mike O’Rielly and Brendan Carr, provided comments or statements on the Free Press filing in response to TR Daily’s requests by our news deadline. Free Press pointed out that “BarrierFree appears to have simply submitted as its coverage area a list of every single Census block in each of eight states in which it claimed service.” BarrierFree says it serves Connecticut, the District of Columbia, Maryland, New Jersey, New York, Pennsylvania, Rhode Island, and Virginia. Free Press said that statements by FCC Chairman Ajit Pai when he announced the circulation of the draft report were apparently based on incorrect data stemming from the Form 477 submitted by BarrierFree. Free Press disputed Chairman Pai’s statement that “since last year’s report, the number of Americans lacking access to a fixed broadband connection meeting the FCC’s benchmark speed of 25 [megabits per second downstream]/3 Mbps [upstream] has dropped by over 25%, from 26.1 million Americans at the end of 2016 to 19.4 million at the end of 2017.” In response, Free Press said that with BarrierFree removed from the data, the number of Americans lacking access to a fixed broadband connection at the 25 Mbps/3 Mbps threshold declined to 21.3 million, not 19.4 million. Free Press also challenged Chairman Pai’s claim as to the number of Americans with access to fixed 100 Mbps/10 Mbps service. Chairman Pai said in a press release that the number of Americans with 100 Mbps/10 Mbps service increased by nearly 20%, from 244.3 million to 290.9 million. But Free Press said that with BarrierFree removed from the data, the number of Americans served at this threshold increased to 288.4 million persons, not the 290.9 million claimed by Chairman Pai. Free Press disputed the FCC claim for the number of rural Americans with access to broadband service, as well as the claim that capital expenditures by broadband providers increased in 2017, reversing declines that occurred in both 2015 and 2016. Moreover, Free Press challenged the FCC claim that the private sector has responded to FCC reforms by deploying fiber to 5.9 million new homes in 2018, the largest number ever recorded.